Loving imperfections of one’s neighbor is the highest form of wisdom. We on HomeKlondike believe that the same is true about interior failures. Sometimes these very drawbacks can be turned into strong points. For instance, a tiny kitchen would inspire you to arrange a full-fledged dining area in a living room, and a small bedroom wouldn’t let you fit in a writing desk next to your bed, which is also a nice thing from the psychological point of view. 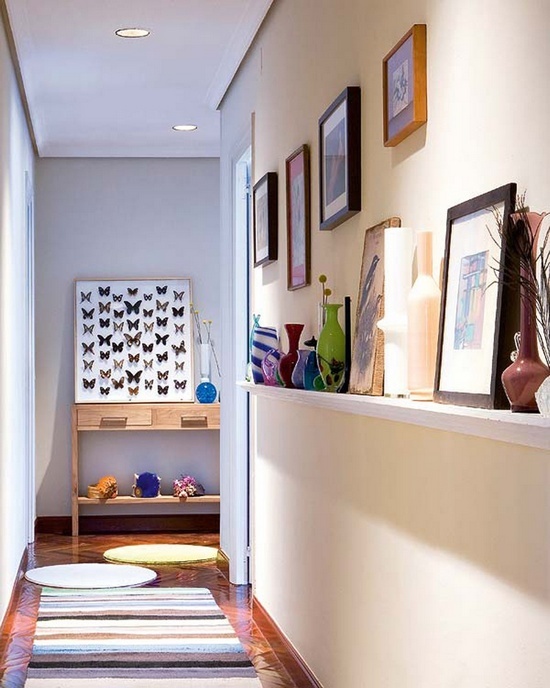 And of course, we have good news for owners of narrow hallways: you have a unique chance to implement your boldest design ideas and try new creative decoration tricks and colors that you would never dare to introduce in other parts of your home. This is the simplest and most popular way of dealing with narrow spaces. 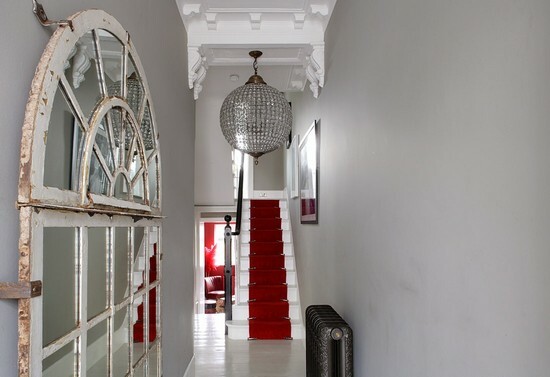 However, even in this case you may opt for something unostentatious, like mirror mosaic, for example. If you feel like selecting this trick, we’d recommend you to abandon conventional beach and autumn forest images for the sake of vintage maps, castle walls and views of night-time Paris. Such concepts set the right mood and help people re-charge their batteries. 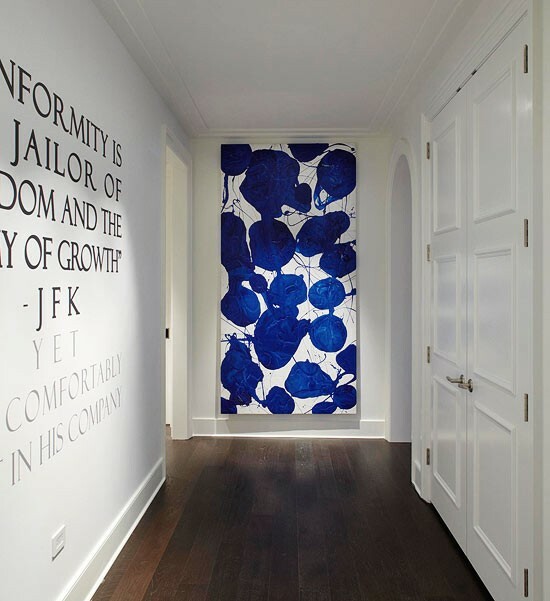 You may also “open” the walls with a popular designer trick of distraction. Here you’d find photos, posters and maps especially useful. 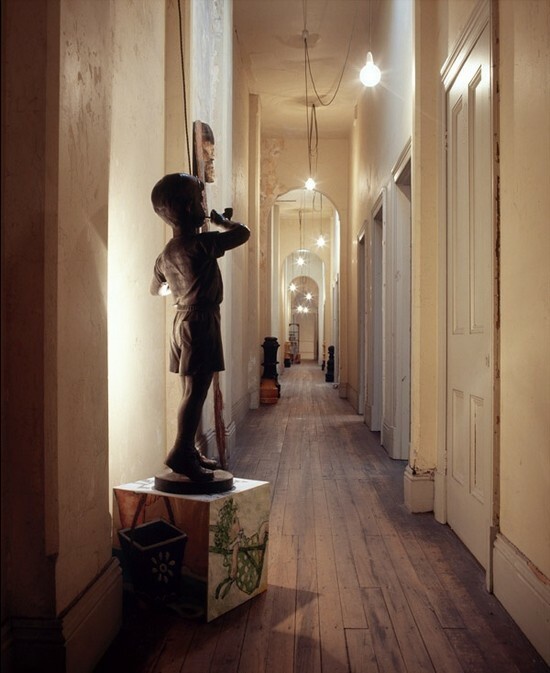 To take the mind of a person passing by your hallway off the tight walls, make your claustrophobic guest look up. How? Make your ceiling non-white or add some eye-catchy piece of décor to this horizontal surface. As a general rule, the thing that predetermines the atmosphere of the entire interior is the lighting. Take advantage of this fact! 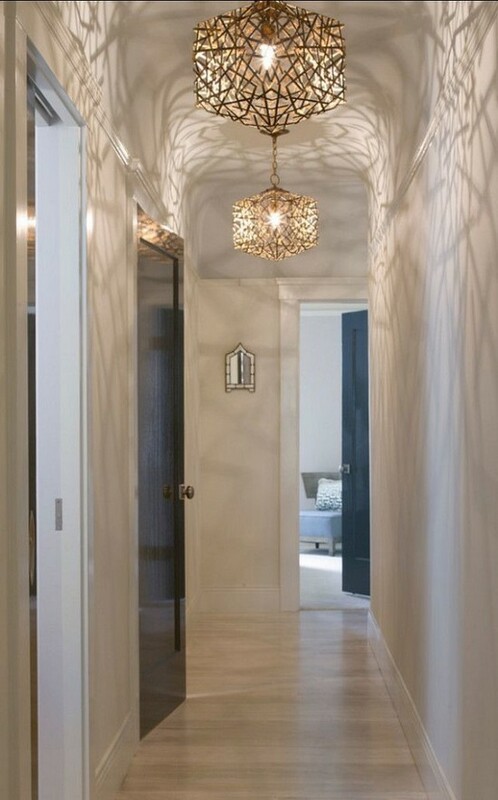 Why not turn your hallway into a sweet narrow European street? 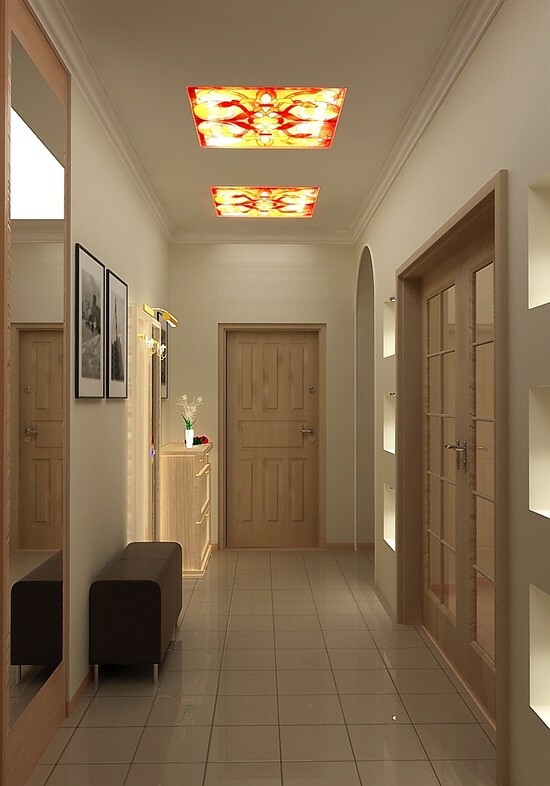 This effect can be reached by means of just clinker tiles and a few outdoor lights. Light at the end of the tunnel is like a magnet. 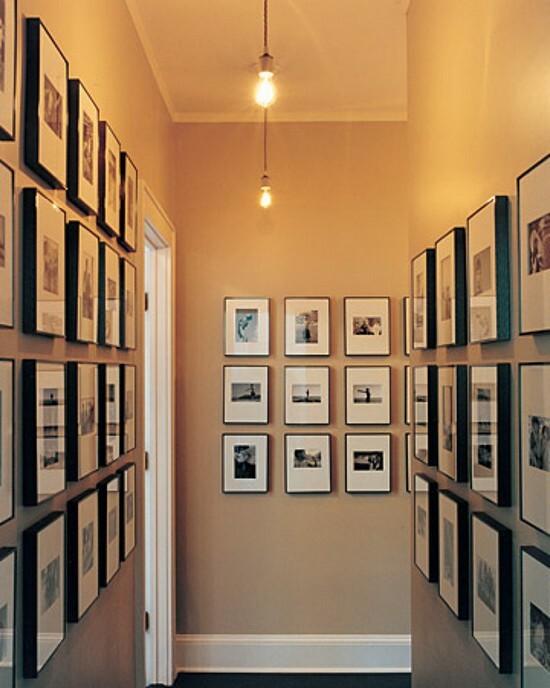 So, let your hallway have such a happy ending. This role can be safely given to strips on the walls. 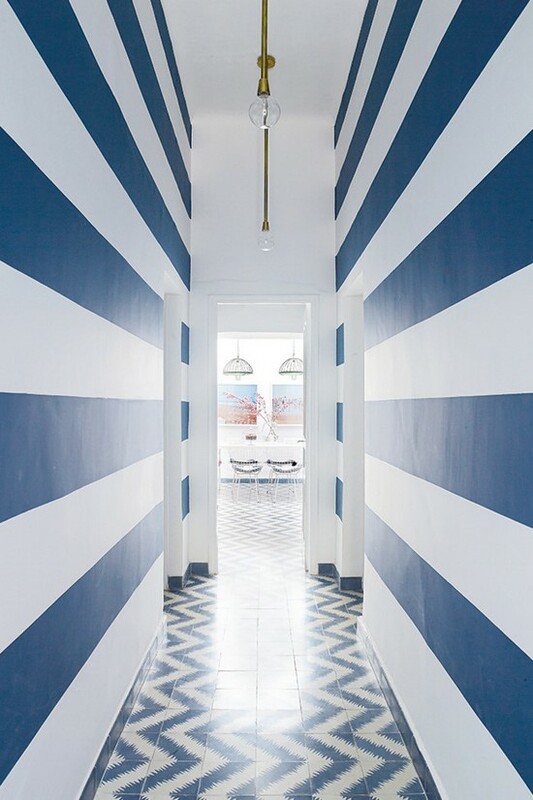 Such a solution is undoubtedly bold, bright, simple and fresh. Is failing to remember important things your persistent problem? 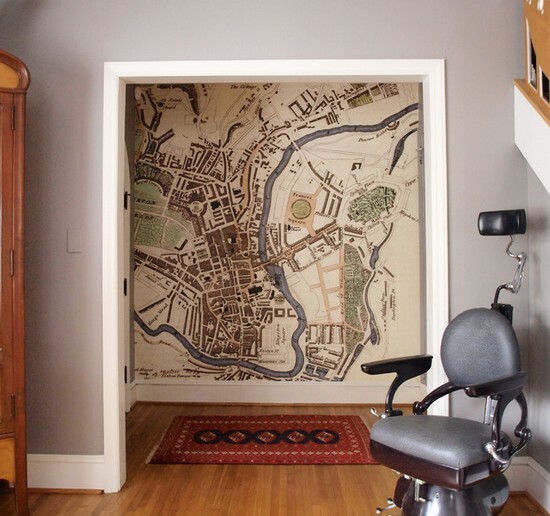 Then coat your hallway wall with chalkboard paint and make notes, draw schemes and pictures to keep all you need in mind and order!